Fellow RPG blogger Greywulf created some awesome artwork for Warrior, Rogue & Mage, which I used to create a first rough draft of a possible WR&M cover. I hope you guys like it! I am still working on the revised edition, so if you have any ideas what I should add or what still needs fixing, let me know in the forums. Any comment is appreciated! 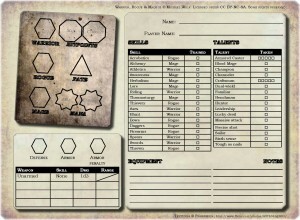 Today I created an one-paged character sheet for “Warrior, Rogue and Mage”. Enjoy! 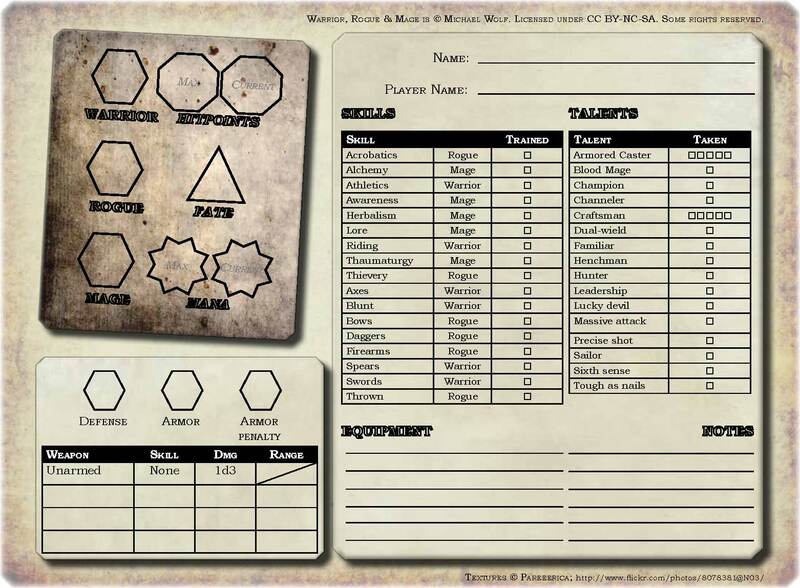 The character sheet can be downloaded as a PDF file on the WR&M product page. It’s a little rough around the edges, but as it was created in twelve hours, that is to be expected. 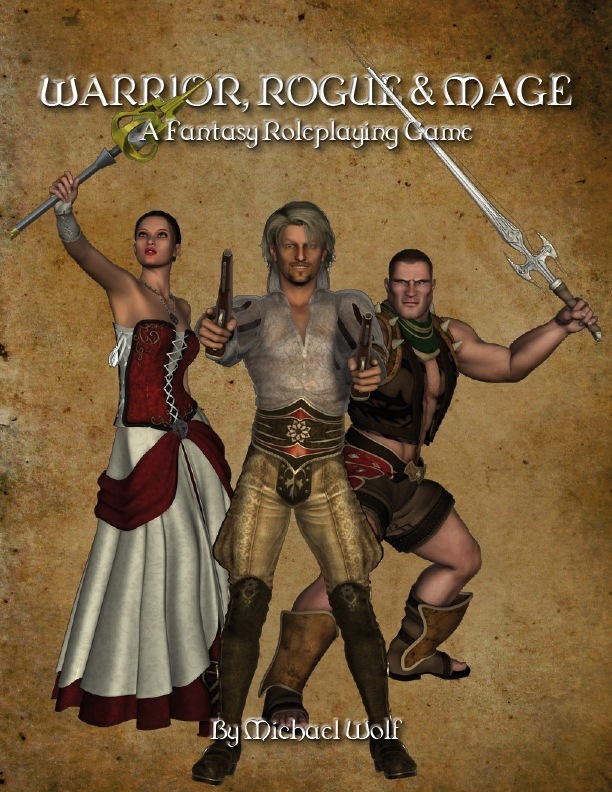 All in all, it’s a fun RPG for those who want a light weight fantasy system and wish to try something new. And if you haven’t read it already, you should definitely check out the in-depth playtest report written by Will from Creatively Anomalous! If you know of any other reviews of one of my games, please let me know in the comments. And thanks to anyone who took their time to write a review of WR&M. And I am glad you guys liked it so far!